Dr. Chris Cummings was first introduced to chiropractic after his father was in a car accident. Seeing a chiropractor put his father back together inspired him to become a chiropractor himself. 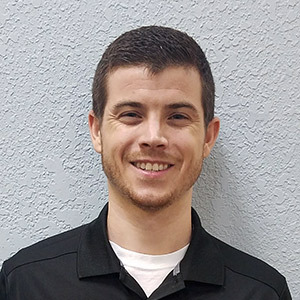 He started his education at NAU earning a bachelor’s biomedical sciences in 2012 and then proceeded to graduate, with honors, from Parker University in 2017 with his doctorate of chiropractic. Dr. Cummings aspires to help all people with his detail oriented and down to earth approach. He possesses a keen interest in active rehab and educating patient’s on not only how they can get out of pain but how they can stay well. When he is not in the office helping patients, he enjoys hosting back yard BBQ’s with his friends, spending time outside with his girlfriend Katie and their two dogs, or inside seeing a good movie when Texas weather is not as friendly. Contact Us for a complimentary consultation with Dr. Cummings. We’re an in-network provider with most insurance companies and accepts Medicare.